Born: 8 July 1895, Roslyn, Long Island, N.Y., USA, as Arthur Charles Miller. Died: 13 July 1970, Hollywood, Calif., USA. Career: In 1908, after a brief career as a professional jockey, he was hired as a laboratory asst for Fred J. Balshofer's Crescent Film Company. When Balshofer went to Los Angeles, Miller stayed in New York and worked as c.asst and lab tech for the Reliance Motion Picture Company. 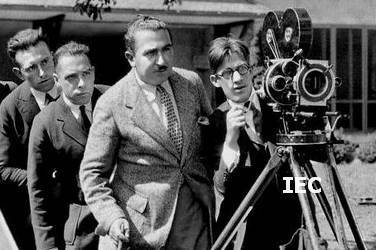 In 1912 he joined Pathé Frères as a newsreel [for Pathé News Weekly] and studio cameraman. 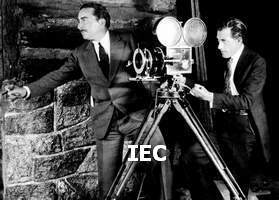 In 1915 he went to work for the Esperanto Film Company of Detroit and later the Astra Film Corporation [Louis J. Gasnier]. 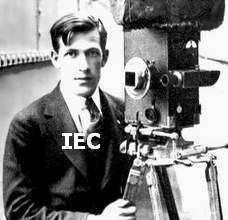 In 1916 he became a member of the New York Cinema Camera Club. 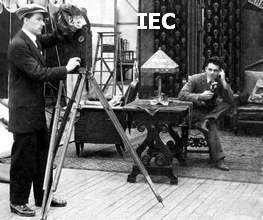 [This club merged with the California Cinema Camera Club ('Static Club') in 1918 to form the American Society of Cinematographers (ASC) in January 1919]. In 1917 he came under a personal 8-year contract to dir George Fitzmaurice. In 1918 he accompanied Fitzmaurice to Hollywood and started working for Famous Players-Lasky Corporation. Went to London to help establish the Famous Players Studios at Islington. 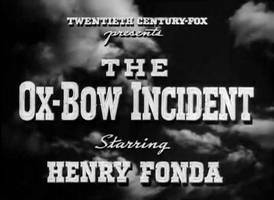 Worked under contract for directors William A. Seiter and Raoul Walsh and joined Fox Studios [later 20th Century-Fox] in 1931 [until 1950]. At Fox he ph 12 films with child star Shirley Temple. 'I had trouble with Fox when Zanuck went to Europe, mainly contract problems; they refused to pay for my six-week vacation a year. 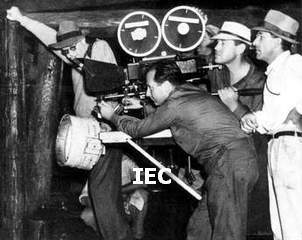 They claimed they'd wired Zanuck and he'd supported the refusal; but I thought it was a lie. I said, 'All right, we'll just part friends.' And we did. 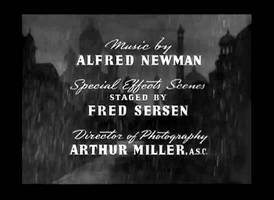 [...] I was supposed to do 'The African Queen', and I went to get the shots for various diseases. And through the examination the fellow found tuberculosis in my right lung. So I went home and went to bed for a year. The doctor said, 'Do you have to work?' I said 'No.' And he told me I'd live longer if I didn't work again.' 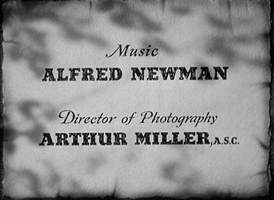 He returned to limited participation in the film industry, but not as a working cinematographer. 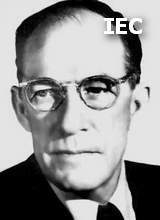 Was a member and president [1954-56] of the ASC. 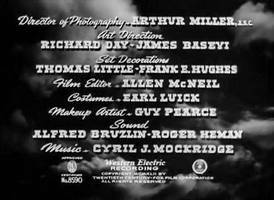 In 1966, he and Charles G. Clarke dir the doc 'Milestones of the Movies' for the ASC. Miller and Fred J. Balshofer [1877-1969] wrote the book 'One Reel a Week' [1967; descriptions of early filmmaking in New Jersey]. 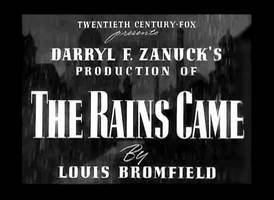 Awards: 'Oscar' AA nom [1939; b&w] for 'The Rains Came'; 'Oscar' AA nom [1940; color; shared] for 'The Blue Bird'; 'Oscar' AA [1941; b&w] for 'How Green Was My Valley'; 'Oscar' AA nom [1942; b&w] for 'This Above All'; 'Oscar' AA [1943; b&w] for 'The Song of Bernadette'; 'Oscar' AA nom [1945; b&w] for 'The Keys of the Kingdom'; 'Oscar' AA [1946; b&w] for 'Anna and the King of Siam'. 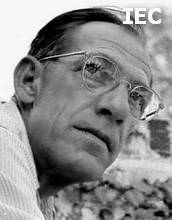 Arthur C. Miller: 'The basic principle I have had in making pictures was to make them look like real life, and then emphasize the visuals slightly. If we had a restaurant with white tiles in a scene I'd show it even more white and shining on the screen. I'd make everything as sharp and clear as possible. Of course, an audience's eyes can't adjust from dark scenes to bright ones immediately, so in order to consider the pupil of the eye I would always work a gradual change of light when you came into the restaurant. From daylight to a brilliant interior with soft shades of grey in between. The Perils of Pauline [Louis J. Gasnier (superv) & Donald MacKenzie] b&w; 20-part serial; other ph: ? 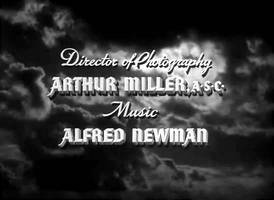 ; A. Miller replaced the original ph, because Gasnier was impressed by his newsreel footage of Niagara Falls; released in Europe in 9 ep; prod Pathé/Wharton Inc. 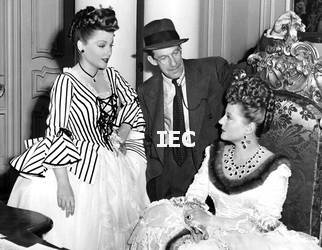 The Exploits of Elaine [Louis J. Gasnier, George B. Seitz & Leopold Wharton] b&w; 14-part serial; prod Wharton Inc. The New Exploits of Elaine [Louis J. Gasnier, Leopold & Theodore Wharton] b&w; 10-part serial; prod Wharton Inc. The Romance of Elaine [George B. Seitz, Leopold & Theodore Wharton] b&w; 12-part serial; other ph: Levi Bacon & Robin Townley; prod Wharton Inc.
[Right/glasses] with dir George Fitzmaurice [next to him] - "Idols of Clay"
With dir George Fitzmaurice [left] - "To Have and to Hold"
Joseph LaShelle [white hat] - "How Green Was My Valley"
With Anne Baxter [left] and Tallulah Bankhead - "A Royal Scandal"
* Arthur Miller in 'Hollywood Cameramen' by Charles Higham (1970). What Poverty Leads To [Fred J. Balshofer] ph: ? A Desperate Character [Fred J. Balshofer] ph: ?